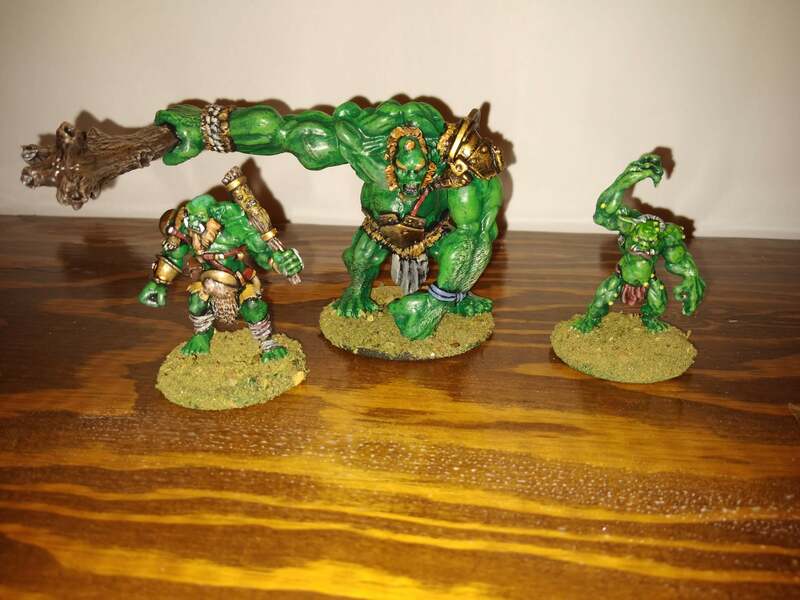 Three “ogres” I painted for my nephew. 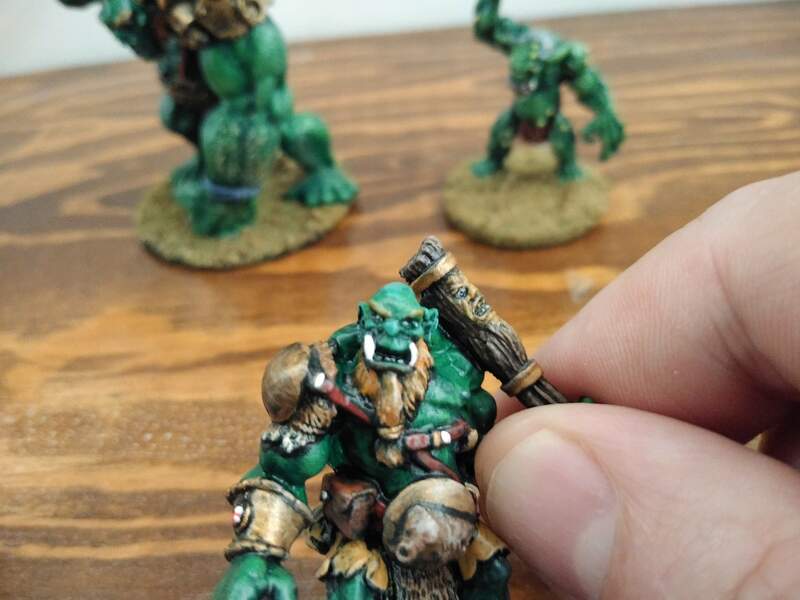 For his seventh birthday he wanted me to paint some ogres for him. How could I say no? So I finally got some painting done after a much too long hiatus! 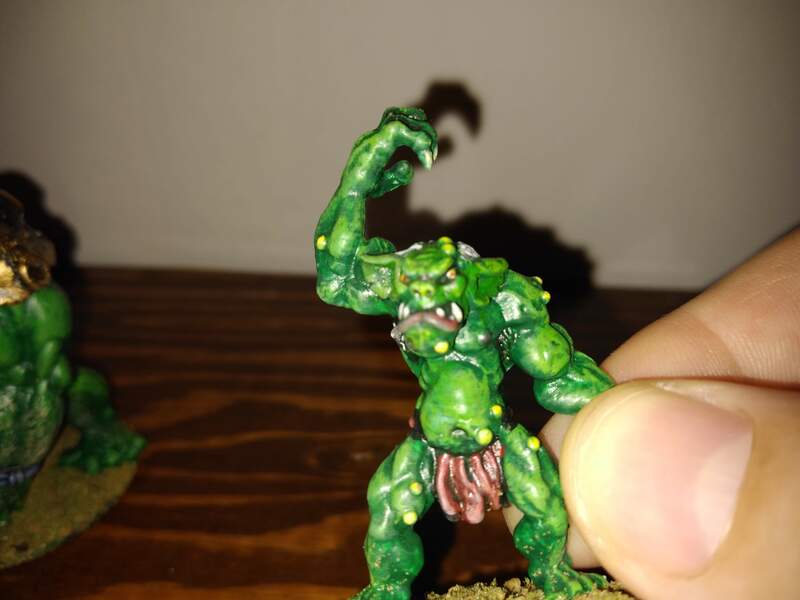 I picked up some Reaper Bones minis that looked like they’d fit his idea of an ogre (green, big, & strong). The biggest guy is actually supposed to be a hill giant and the trollish guy a troll. 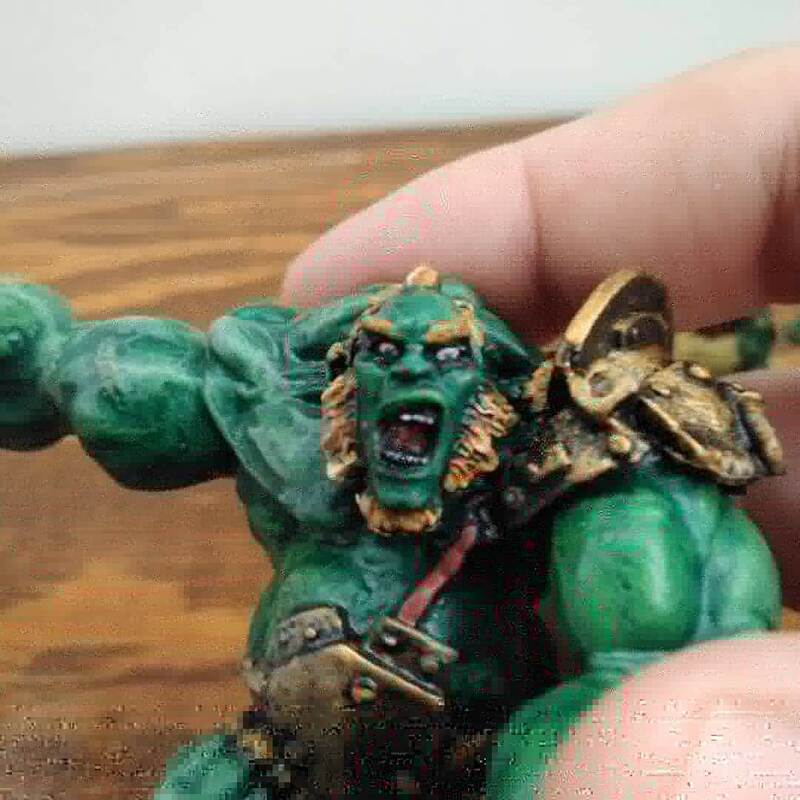 I really like some of the details on the true ogre — his club has a screaming face on it, and his armor looks crudely thrown together from whatever he could scrounge. Click pictures to embiggen. Sorry about the lack of focus, still figuring out my newish phone. I’m hoping that being plastic they won’t break too easily. I decided not to go crazy with the detailing since he’ll probably smash them up playing anyway.